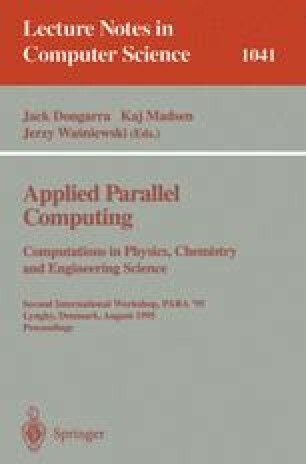 It is clear that the use of parallelism for scientific computing will increase in the future as it is the only method available to tackle large scale problems. However, employing parallel methods to produce viable scientific tools brings about its own inherent problems which are not present in sequential implementations. Primary among these are problems in selecting the parallelisation method to be used, and inefficiencies brought about by load imbalance. In this paper we look at both these issues when applied to simulations of long-chained molecules. We introduce a decomposition scheme, dynamic domain decomposition (DDD), which parallelises a molecular simulation using geometrical information, and when combined with a migration function leads to reduced communications. We present a load balancing algorithm, positional scan load balancing (PSLB), which equalises processor work load to increase the efficiency, and present some experimental results.